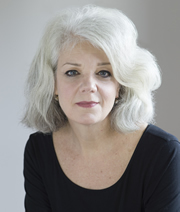 Most of her 802 colleagues know Marcia Butler as a highly accomplished oboist who has performed in orchestras and chamber ensembles, on Broadway, and as a soloist in New York City and internationally. In 2002, Marcia changed careers and opened her own business, Marcia Butler Interior Design. 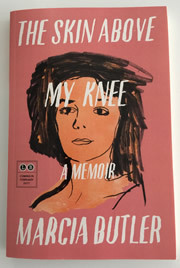 Now, after successful careers in both music and interior design, Marcia has written a book that takes a profound, highly personal, and brutally honest look at her own life and struggle to find meaning through music. Her first book, a memoir titled “The Skin Above My Knee,” was published by Little, Brown and Company last month. It is a moving account of one person’s experience, but it touches on many universal subjects – love, loss, complex family relationships, illness, and, above all, the redeeming power of music. It is a story that will stay with the reader long after the last sentence is read. Already, the book has been met with critical acclaim, and word is spreading throughout important media outlets such as Huffington Post, New York Magazine and the New York Times. Marcia and I sat down over coffee and discussed love, life and music in her perfectly-appointed apartment on Manhattan’s East Side. Karen Fisher: In your book, “The Skin Above My Knee,” you weave together two aspects of your personal story – your childhood and complex relationship with your family, and your life in music. Through the telling, you bare a lot of your soul and reveal some very personal secrets. Where did you get the courage to write this? Marcia Butler: Great question. The courage evolved over time. And the memoir itself emerged in a surprising way, so I’ll start there. I was writing an interior design blog, and was interested in exploring aspects and questions of creativity on a global level, not just in design. Then I had the idea of interviewing people who performed in all artistic areas, such as the ballet world and the opera world, as well as other instrumentalists. I wanted to understand their peak moments in performance. And I was simultaneously writing about my own experiences in performance as well. In an organic way I began to stretch out and write about my childhood; my first memory of hearing music, for example. Well, I thought I was writing a book on creativity through the lens of these other people. But one night – it was actually 5 in the morning – I came to an awful realization: I was writing a book about myself. I was trying very hard not to write a memoir, but I was. This was an uncomfortable truth. I was, frankly, embarrassed. My silly life? However, after truly committing to it, I pressed forward and toggled all the stories together to create a narrative arc. The difficult passages in the book, the revealing stuff…I still get itchy about. I wake up thinking about it, worrying about it, as you might imagine. It’s an issue for any memoirist who has had a troubled past. You have to tell that story. I didn’t tell all the stories, but I told the ones that I thought were important to the narrative. Karen Fisher: Did you discard a lot when you wrote? Marcia Butler: Oh yes. I did toss out lots of childhood scenes. And I wrote many, many stories that might have made it into the book…stories that were not pretty, to say the least. Then when I was refining the narrative, I selected the sections that helped to tell a compelling story. Creating a narrative in memoir is tricky: you can pile on, but that might not be particularly good story telling. However, because I wrote all of those stories, I have discovered truths about myself and have come to accept some realities of my life, all through the very process of writing. I think all memoirists are searching for clarity with regard to identity. Looking back, I certainly see that I was trying to distill my own view of who I was then and am now. And the truth is this: I’ve managed to come through a lot of hardships. It sounds hokey to say, but writing the book has helped me to glean perspective on what happened to me. I don’t regret it. Karen Fisher: Was it imperative to tell the story right now? Do you think that this was something that you would have done anyway at some point even if you hadn’t come about it in this particular way? Marcia Butler: I believe that we can only do things in their time, and not one second before. Once I began writing the childhood stories, it kind of broke open the dam and it was, for lack of a better word, cathartic. I wrote those words down on paper day after day after day. Something unknown was compelling me and the process felt very linear. I was not in control – almost like I didn’t make the decision to write. It just came out of me. And, as you know, I’ve had these careers in different areas, and the creative flow of those impulses in music and in design and now in writing actually feel the same. Just the knobs and dials are different. I didn’t come to any “a-ha!” moments of just, yeah, I’m going to write this down now. Or, I’m going to get this stuff out of me. The volition to write simply came to me. The act of writing is incredibly difficult, though – probably the hardest art form I’ve attempted. Karen Fisher: In the book, you use a very specific style. You alter the points of view between the personal stories and the musical stories. You even delineate the sections by changing the font. Why did you organize it in this way? Marcia Butler: Yes, the personal story line is in first person and the musician story line is in second person. I did this intuitively, as an idea that just came to me very early on in the writing process. And I actually was living separate lives, particularly in my early career. Marcia the musician carried on as the oboist. But I was acting out aspects of my childhood through my personal life, and I didn’t do it in a healthy way at all. I got myself tangled up in a couple of very bad situations and made risky choices. But coasting on top of my troubled young adulthood was music. And so I wanted the book to delineate those parallel lives by actually separating them via point of view, but also literally in a visual way – in two different fonts. It was a method of tipping the reader that we are now in this other world. And in terms of the flow throughout the book, there is one point where the music section actually dips down into the personal section and touches it briefly, as if it is almost commenting on it. Karen Fisher: I think anyone who reads it hopes for you that you now see yourself in a different light. Marcia Butler: You know, one of the coping mechanisms of surviving trauma in childhood is that one becomes really good with a mask. And I would say that this mask has come down somewhat. I’ve exposed parts of my life that literally no one knew about. Even shrinks! But the best part is that now I more fully understand how music functioned for me, and it functioned truly as a saving beacon. The other thing is that I hope what people understand from the book is that when we see people, what we see is the tip of an iceberg. Their lives are made up of deep and complex emotional issues. Everyone has a story to tell. There’s not a human on earth who doesn’t have a fascinating inner life. Karen Fisher: It was really striking to me as a musician how accurately you describe how it feels to play music and how it feels to sit in an orchestra. I don’t think we musicians talk about that amongst ourselves. It’s really personal, really private. And I think that that’s going to resonate with any musician that reads the book, and hopefully it will bring to light some of the mystery to non-musicians who read it. Was that difficult for you to put into words? Was it hard to access that and get it on paper? Marcia Butler: You know, I’d like to say that it was difficult, but it wasn’t. Which is to say that the “you” or second person stories, which are very short, I wrote so fast I couldn’t believe it myself! I would write them in an hour. I’d just bang it out and basically do a very light edit on them. They were really pristine. Because I know that world so well, almost better than I know myself, and I knew that I was profoundly connected with the feelings of performing and the ephemeral thing that all musicians go through on stage. I was able to access it easily. I could still do it. You know, just remind me of a performance, and I’ll get it on paper! Karen Fisher: I thought you were going to say that, because that’s how they read, as if you are talking right off the cuff. You really found the core. Marcia Butler: Thank you. They were easy, and I was truly grateful for that, because a lot of other stuff wasn’t so easy to write! Karen Fisher: The chapters that deal with music, do they make you feel as exposed as do the accounts of your family life? Or is it all part of one whole? Marcia Butler: There were some music sections that felt a tad embarrassing because there is an intimacy that we feel when we perform. When you’re on stage and you’re looking across the stage and see the face of another musician…say you’re playing a Mozart octet. You look into their eyes – you’re about to play a solo with them. I mean, that is so intimate…you’re touching the core of that person. You’re going to move in tandem with them. You’re going to share the genius of Mozart. And it gives me chills right now, because that is something that very few people get to experience in life. You know, to create an exultant expression of a phrase with another human being is so rare and that’s exactly what we live for as musicians: to be able to touch each other and the listener. It is a joyful thing. Karen Fisher: Now that the book is out, do you expect any negative repercussions in your personal life or professional life as a result of the book? Marcia Butler: I see no negative repercussions. I couldn’t imagine there would be any musician who would take me to task on anything. And the personal story is the truth, so damn the torpedoes. Karen Fisher: So, as a fellow reed sufferer, I got the biggest chuckle over the chapter where you talk about the dominion that reeds hold over your life. Also, there’s a nice shout out to Local 802. Marcia Butler: Yeah, good old 802. I love my 802! The thrill of solidarity in a union is like nothing else. And I’ve gone through a couple of Broadway strikes, and have been at the negotiating table on really tough talks. The intelligence and experience is truly humbling. I adore 802. Still do. Karen Fisher: But, you know, no one writes about that. Even other people who have written about music, the minutiae of our lives. Do you have a particular favorite vignette or chapter? Karen Fisher: Do you still turn to music when you’re faced with difficulties in your life? Marcia Butler: Well, that’s interesting because I’m a huge opera fan now. I played opera in the past, of course, and the first music I heard was opera, so I suppose this is not such a surprise. But now I am bonkers over opera in a way that does surprise me. It is just the best artistic entertainment! I go to a lot of productions at the Met. Now that I don’t play anymore, I’ve found that whether I’m at Carnegie Hall or the Metropolitan Opera, I feel more myself than anywhere else. The space just envelops me and I can relax in a way I’ve not remembered. When I was performing I really didn’t go to that many concerts. A lot of musicians are like that. You know, you just shut down at night if you don’t have to go out and perform. Now I feel that the concert hall is the best place to be for me, and that’s why I go a lot. Karen Fisher: Do you think that having had a lot of painful experiences as a young woman made you a more sensitive musician than you would have been otherwise? Marcia Butler: I don’t know if it’s made me a more sensitive musician, but what I will say, for myself and for any musician, is that when we play music, we are unfolding ourselves for the listener. We are opening our guts and exposing them. That’s what we’re meant to do and it is our job. So whatever is residing within ourselves – which is a compilation of everything that we’ve ever experienced, in childhood, in adulthood, what we learn, what we don’t learn, what we feel, what we think, what we listen to, what we read, what we see – this is all in the mix for exposure through our instruments. It is all in there. Karen Fisher: That’s a really good argument against sitting in a practice room for eight hours a day and not living your life. Marcia Butler: Truly. Absolutely. Because if you don’t read and think, if you don’t look and then see, if you don’t interact and then have opinions, if you don’t love, and even if you don’t hate, I think that music cannot be fully enlivened. Music needs tremendous human bandwidth. Otherwise, it may be beautiful to look at, but it might not move you. Karen Fisher: Obviously music is something you love, something deeply rooted in everything that you’ve done and do still, but why did you ultimately decide to leave performing? Marcia Butler: It sort of ratcheted down for me when I started my business in interior design in 2002. I resigned completely from music in 2008. In those five or six years while I was doing both, my design business got really busy and I began resigning from positions. I couldn’t do the hot seat stuff anymore. And I found I couldn’t perform contemporary music, which was such a love of mine, because I didn’t have the time to practice those immensely difficult pieces. So I slowly resigned from tenured positions. I held on the last two years to Little Orchestra Society because I’d played those concerts for so many years and I had a great comfort level with that job. I also hung onto Broadway shows because, again, the preparation was minimal. I just needed to have a good reed. Karen Fisher: Do you regret not playing anymore? Marcia Butler: Not at all. I don’t miss it. People who are not musicians ask, “Do you ever play anymore?” It’s kind of like being an Olympic hurdler. And you haven’t done it for two years and now you’re going to run around the track and knock all the hurdles down for old times’ sake? Good luck with that. But most people don’t understand that. To knock all the notes in the Mozart oboe concerto over – that’s not a fun day. There’s a certain level of expertise that you want to be able to perform at. Karen Fisher: So, you’re not on stage playing the oboe now, but writing the book has already put you back on stage. Does it feel different to be speaking to audiences with your physical voice rather than communicating through the oboe? Marcia Butler: I have done a few readings already, and there is a certain amount of nerves beforehand, but I do feel there’s a similarity. You’re with the interviewer, and you have the stage, you have a mic, and there are people out there listening to what you have to say. What I pray for is to be able to speak eloquently without saying too many ums, ahs, ers, and up-inflected ends of sentences, which would be awful! And I’m used to people staring at me, you know, so it feels pretty natural. I look forward to reading throughout the next year when I go on book tours. And I look forward to answering people’s questions. Karen Fisher: It will be interesting to see how people react to your book. I’m guessing that total strangers will want to share their own stories with you because you’ve put yourself out there, kind of like an actor who everyone thinks they know because of their portrayal of a character. Marcia Butler: Right. Well, it’s interesting, my editor at Little Brown has warned me that people are going to be posting on my Facebook page and trying to contact me. And I’ll have to manage that. The topics range from mother-daughter-family issues, childhood trauma, cancer. And it’s set in New York City during the 70s, 80s, 90s and 2000s…so I hope the range of subjects will interest lots of people. Then there’s the music! Karen Fisher: Is there anything that you’d like to discuss with our readers specifically? Marcia Butler: Well, for my musician peeps, I would hope in a very humble way that I’ve helped the world to understand what it’s like to be a musician. Obviously Local 802 is more aware than anybody on the planet what this country is going through in terms of the arts. We’ve been asking this question for years, but now more so than ever. But in spite of that reality, here’s the thing that I hang on to: as long as young people feel that there is no other passion and profession that they can imagine pursuing, there is hope for the world. It was true when I was young, and just as true today. For the broader public, I’d like them to know that when we pick up an instrument, we are a conduit to their heart, and to understand how ephemeral and beautiful this profession is. I hope that every person who reads my book will understand what a special group of people musicians are. From Broadway show musicians to soloists, to everything in between. Because everyone has a memory connected to music, and there’s a reason for that. It is a unique and divine way to communicate what we can’t articulate into words. It’s so simple and yet tremendously important.